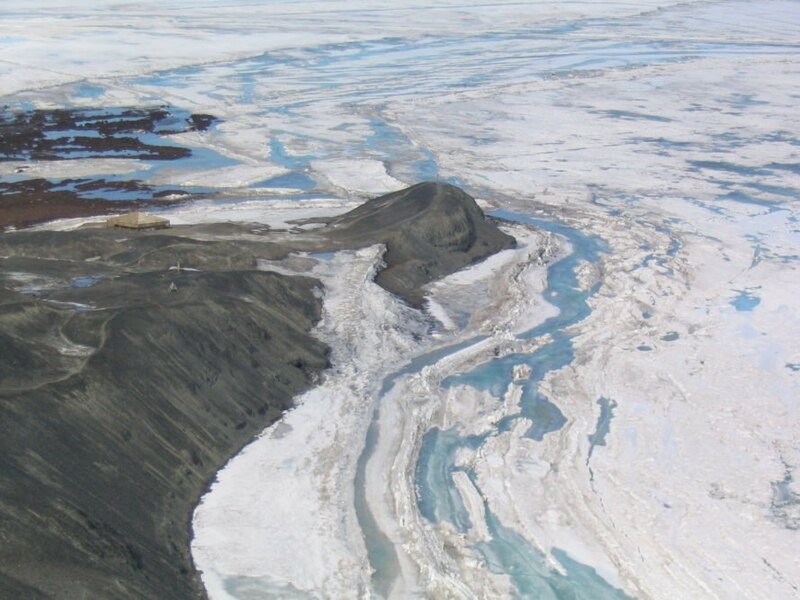 For decades, scientists have known that summertime brings liquid meltwater to Antarctica’s ice sheets. But until now, they’ve had no idea just how extensive the continent’s network of rivers, streams, ponds, and waterfalls really is. A new analysis by scientists at Columbia University’s Lamont-Doherty Earth Observatory has found that warmer months cause far more extensive melting than previously thought. That could be a problem as global temperatures continue to rise. Surface water can damage the ice shelves, weakening them and causing them to collapse into the ocean. Some of the channels identified in this survey allow meltwater to run harmlessly off into the sea, but in other areas, standing water can be a huge problem. In 2002, more than 2,000 lakes on the Larsen B ice shelf drained through the ice into the ocean below, causing the entire area to rapidly disintegrate. The presence of water on the frozen continent does not yet appear to be the cause of widespread problems—but there’s also the possibility that warmer temperatures are causing sub-surface ice melt. Unfortunately, that phenomenon has been researched in far less detail, so it’s unclear exactly what effect it will have on the ice and rising sea levels in the future. The glaciers and landscape in northeast Greenland look different compared to other parts of Greenland. Here you can see refrozen meltwater ponds from last year's summer cover with snow that has fallen during the winter months.